We all know that Mauritius Tourism is a synonym with sugarcane fields, great culture, natural beauty, volcanoes, sports, warm weathers, and wonderful beaches. To escape yourself from your hectic routines, Mauritius is an ideal gateway as majority of people fly off to this land for revival. To further help to release all the pressure, there can be nothing better than to spend some time in top-notch spas. 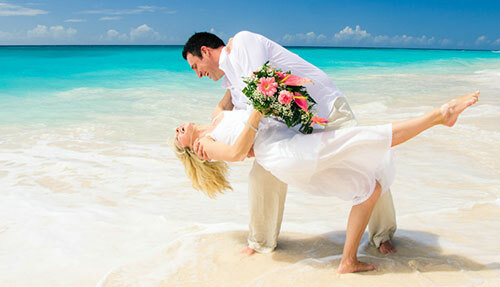 Widely known as the paradise island, it is one of the ultimate honeymoon destinations across the globe. 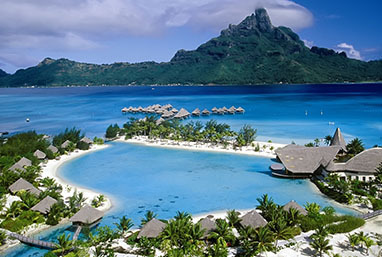 With its charms, wealthy heritage and location, Mauritius tour packages attracts number of honeymooners to create some of the unforgettable moments of your honeymoon. This heaven on earth promise to the newlywed couples that such spa session will be a romantic chapter of their trip. This parlor offers an amazing Asia spa experience in the traditional Balinese style of Massaging. Some of the famous services include body scrub, herbal stream bath, body massage and much more. Once you step in Chi the Spa, you will see a lavish temple of harmony that rejuvenate, soothe and revitalize the mind and soul in the traditional Chinese flavor. From the décor to the techniques to the treatments, each and every thing is executed in the Chinese-style. Kairali Aurvedic Spa becomes extremely reputed all over the Asia. Situated in St. Phoenix region, the practitioner offer health care and customized treatment. 4.50% GST applies on total cost. After breakfast, proceed for a full-day South Island tour. Visit the Trou Aux Cerfs, the crater of an extinct volcano and Grand Bassin, a natural lake at the base of volcanic crater and a pilgrimage place for Hindus. 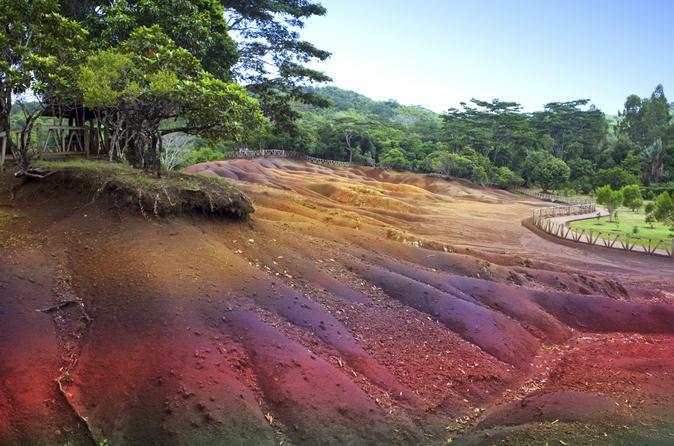 Also take a tour of Chamarel and discover its coloured earths and waterfall alongside visit the city of Cure pipe where you can pick up some souvenirs. Dinner and over night stay at the hotel. After breakfast, it is time to bid goodbye to Mauritius and check-out of the hotel and transfer to the airport to board your flight back to India. Honeymoon gift in room arrival (T-shirt,pareo & sparkling wine),40% discount for couple at the massage salon. Hotel Description: Located on the north coast of Mauritius, in the charming village of Mont Choisy, the hotel is only 5 minutes away from the activities and nightlife of Grand Bay, and Pereybere beach, the most famous and frequented beach of the island. The hotel is approximately an hour from the airport and 30 minutes from Port Louis, the capital and city center of Mauritius. Set amongst coconut palms and tropical plants, Tarisa Resort Mauritius epitomizes local charm and style. 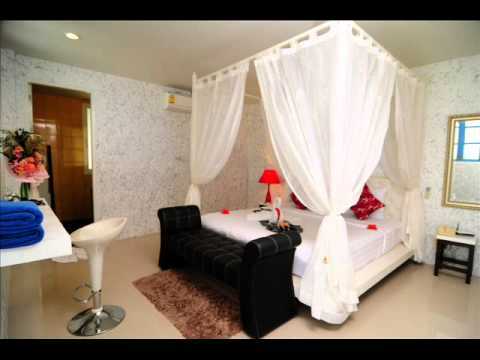 This 3 star hotel complex holds the key ingredients for superb exotic holidays. Delightful accommodation at an affordable price and a relaxed, friendly ambiance, combined to the legendary Mauritian warmth spell for an unforgettable stay with family and friends at this charming resort. Accommodation The hotel consists of 75 airconditioned rooms with both twin and double rooms,as follows: Ground floor:16 Rooms &1suite 1st floor: 26 Rooms & 1 Suite 2ndfloor: 30 Rooms& 1 Suite All rooms can be supplied with the facility of a third bed and have private W.C and shower.All the rooms are equipped of IDD telephone,T.V, in house music & DVD, Mini Bar,Tea/Coffee making facilities, Electric shaver point (220V) and hairdryer. 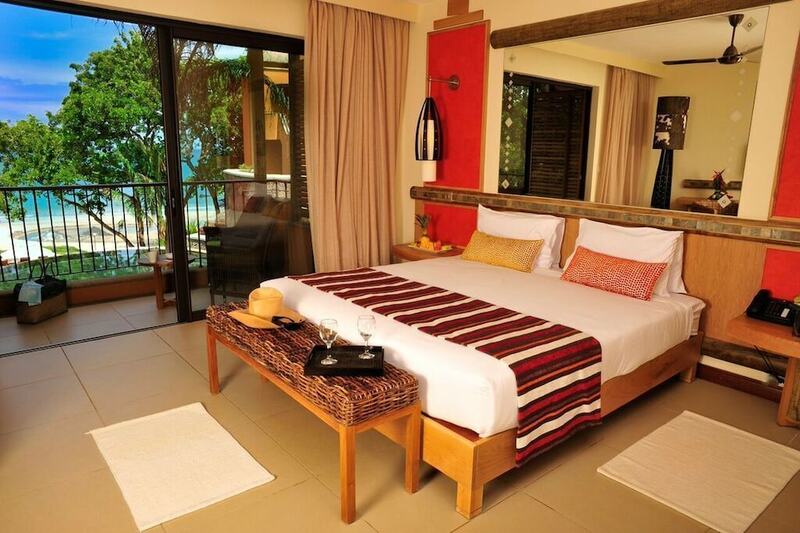 All rooms have their private terrace or balcony with 63 rooms overlooking the main pool and the beach of the hotel. Restaurants and bars The hotels main restaurant, overlooking the Pool & the Ocean, serves a maximum of 160 covers at one seating. The half board package includes full breakfast in buffet style and table dh menu or exotic buffets/barbecue for dinner. A La Carte lunch, snacks & daytime grills are served around the pool deck under tropical umbrellas or in the open restaurant. Pancakes & Ice Cream are also available. The Tandoor restaurant, specialized in the authentic Indian cooking has a capacity of 100 covers and is situated on the first floor with a magnificent view of the Ocean. Spa For a feel of inner serenity and outer beauty, indulge into a restorative experience with a range of “Gatineau” and “Sh’Zen” therapies offered by the hotels spa. Dedicated to beauty as well as the harmony of the body and soul, the Shrine Spa comprises of 3 massage cabins, a shower cabin, hairdressing and beautician facilities offering a range of body and beauty treatments and massages. Pamper yourself and enjoy a reviving spa day in the expert hands of the dedicated personnel. A fitness centre is available to keep in shape, and why not follow your workout sessions by a steam bath in the hotels hammam or enjoy a relaxing time in the hotels sauna. Entertainment To liven up your nights, the hotel’s band proposes live music, shows or cabarets every night. Every week, the Sega show will initiate you to the dance of our ancestors to the rhythmic beat of our local music. • 66 rooms with ‘vintage seventies’ style, 1 restaurant and 2 bars, A big pool & spa. Bamboo Lounge Main Restaurant : indoor (air conditioned) or terrace. Capacity: 45 seats (indoor) / 95 persons (terrace) Breakfast 7.30 a.m – 10.00 p.m Lunch: 12.00 p.m – 3.00 p.m The menu is in harmony with the atmosphere of the hotel. A selection of salads, barbecue or cooked meals for lunch and themed buffets for the evening will make the guests discover different flavours of Mauritius and around the world. Mini club The mini club is equipped with a game room and an air-conditioned nap room, a paddling pool for the small ones, a swing area and benefits from a free internet access for kids and teenagers. Movie Theater / Conference ROOM Air conditioned room with 40 seats, used for movie nights, sporting events in the evening, and as a day-time meeting room. Convertible into a conference room. Additional Services At the reception: currency exchange, car rental, taxis, etc … In the vicinity: golf, fishing, gym, only for you to relax and contemplate the beauty of the island. Change of scenery guaranteed! Comfort 82,999 Free gifts in the room upon arrival:seasonal fruits,T-shirts,flower display and turn down in room once during stay.special honeymoon dinner (excluding drinks) at belle vue main restaurant with decorated people. Superior 88,999 Free gifts in the room upon arrival:seasonal fruits,T-shirts,flower display and turn down in room once during stay.special honeymoon dinner (excluding drinks) at belle vue main restaurant with decorated people. Hotel Description: A homely feeling for a holiday enchanted by the essence of Creole charm. For those who wish to combine the pleasures of sunbathing with the joy of shopping at the heart of the bustling town of Grand Bay, the Veranda Grand Baie is the perfect choice.Amidst this active environment, the Veranda Grand Baie reveals a comforting haven where giant palm trees and flourishing exotic flowers present shade to afternoon walks and a sandy beach offers the ideal spot for catching a tan. The warm welcome and authentic Creole architecture of the hotel hint at the delightful stay to come. Accommodation A restful hideaway The Veranda Grand Baie proposes 94 units: 8 apartments (35m²), 12 bungalows (33-38m²), 8 Deluxe (55m²), 66 standard (32-36m²). Attention and care has been afforded into creating a comfortable hideaway to each unit, combining cane and wooden furniture with elegant and delicately decorated fabrics. Check in time for all guests is 2:00 PM. Check out time is 12:00 noon local time. Early check in /late check out are subject to availability and will incur a charge of 50% of the nightly room rate (100% during Peak season). As a courtesy to others, guests are asked not to wear swimwear at breakfast and lunch. The dress code is smart casual and gentlemen are kindly requested to wear long trousers in the evening. Tank tops, swimsuits, beach sandals and shorts are not recommended in the restaurants/bars and any other public areas after 18:30. Free Wifi available at the following places: Reception area/ lobby and restaurant/ bar/ pool side.Internet available in rooms at extra cost. KIDS Facilities: Timomo Kids club opens from 08.30 to 20.00 daily and welcomes kids from 3 (if potty trained) up to 11 years old. 1- Sega dance initiation followed by a live mini-show presented to hotel guests .2- Cooking lesson “Ti Chef Creole” 3- Handicraft session (using local materials) to create a handmade holiday souvenir!These activities form part of a weekly program. More details available upon request. Standard 71,999 One lunch per person offer during the stay or 1 massage 30 minutes for 1 person offer .Tea & coffee facilities included in the package . Sea View 78,999 One lunch per person offer during the stay or 1 massage 30 minutes for 1 person offer .Tea & coffee facilities included in the package . Hotel Description: This 3 star hotel is located in the North of the island, between Trou aux Biches and Grand Baie, 20 min from Port Louis and 1 hour from the airport. The Coralia Mont Choisy is between a nice white sandy beach and a harmonious tropical garden. Standard 82,999 Sparkling wine & fruit basket upon arrival.one romantic dinner fot the couple.A wedding certificate not older than 6 months must be produced at check-in. Deluxe 86,999 Sparkling wine & fruit basket upon arrival.one romantic dinner fot the couple.A wedding certificate not older than 6 months must be produced at check-in. Hotel Description: Found along the North East coast of the tropical island of Mauritius, at Poste Lafayette, Jalsa Beach Hotel & Spa is a four star resort overlooking a turquoise lagoon with stunning mountain scenery. The hotel enjoys the unique gift of both sunrise and sunset; by night, the hotel is blessed by a glittering blanket of stars. Jalsa Beach Hotel & Spa is the perfect choice for those looking for a peaceful and relaxing holiday. Standard 65,999 Fruit platter,sparkling alcoholic & 15 minute free massage. Hotel Description: The hotel is nestled on the beautiful northern coast of Mauritius, and only a narrow coastal road separates the hotel from the white sandy beaches and the turquoise lagoon of Trou aux Biches. Being very close to Grand Bay, Le Grand Bleu Hotel is ideally situated, making all sorts of tourist activity and shopping centers available to the residents. Location: Le Grand Bleu Hotel is located on the northwest coast of Mauritius , 52 kms from the airport and 18 kms from Port Louis, the capital. Rooms: The hotel offers comfortable accommodation in a delightful setting on white washed stonewalls and thatched roofs surrounded by a luxuriant garden, with a private beach nearby, 20 bungalows with 2 rooms with balcony, 26 standard rooms and 4 superior rooms with a lounge. All 50 rooms are air-conditioned with private bathrooms with shower or tub and toilets, and are equipped with a telephone, television, minibar, electric shaver point (220V), a hairdryer and also have their own terrace or balcony. Swimming Pool and Restaurants Gastronomique, Winding paths between coconut palms lead to rooms and bungalows , and through to the swimming pool, bar and restaurant, that overlooks the sea . Restaurant: Enjoy the pleasures of having a full breakfast in buffet style, a ‘table dhôte’ menu or an exotic buffet or barbecue with a magnificent view on the ocean and the beach. A “La Carte” lunch, snacks and daytime grills can be served either in the restaurant or the pool deck under tropical umbrellas. Children’s menus are served everyday at 18h00 in the main restaurant. 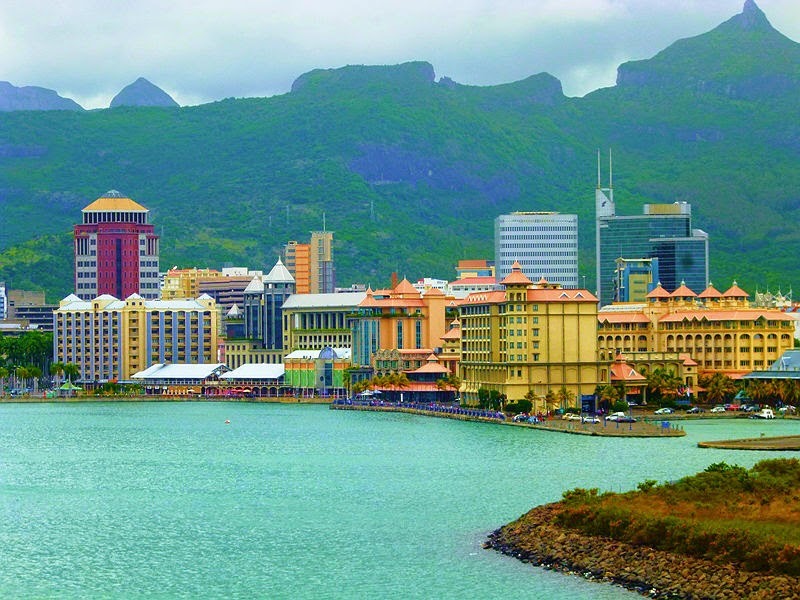 Mauritius visa free on arrival. Cancellation Policy applies as per Hotel & Airlines regulations and policies. This to you at the time of booking.